Jimmy Page: legendary guitarist, producer, all-around rock god . . . and a marketing teacher. Yes, the guitar magus knows marketing in addition to music. He not only founded Led Zeppelin but also influenced the band’s image, down to crucial details such as the choice of album artwork (most famously for Led Zeppelin’s untitled fourth album) and Led Zeppelin’s visual presentation in concert. Of course Led Zeppelin became one of the most successful rock groups ever. So when Page conducted an exclusive interview with the Berklee College of Music to discuss his career, as a marketer I watched the video interview closely. I listened to his ideas through the lens of content marketing given the nature of much of my own professional work. Even though marketing was not the focus of the conversation, Page is so image-savvy that he shared some useful marketing advice even when he wasn’t trying — especially about the importance of over delivering to your audience, being eclectic, and always learning. In the interview, Page recounts the time when, early in its career, Led Zeppelin began building a loyal fan following by playing explosive concerts that could stretch for as long as three hours — even though the band had only one album’s worth of material under its belt. In due course, Led Zeppelin would become renowned for performing mind-blowing shows, combining the power of the band’s music with a flair for the theatrical (as evidenced with Page’s choice of exotic stage garb). The band’s dedication paid off: by 1973, Led Zeppelin was playing to more than 56,000 people at Tampa Stadium, breaking an attendance record set by the Beatles at Shea Stadium. Do you over deliver to your audience with your content marketing? Chipotle Mexican Grill certainly does. Content Marketing expert Joe Pulizzi says that Chipotle takes a “24/7” approach to branded content. For instance, in 2013, Chipotle created a digital video and game, The Scarecrow, to spark a consumer conversation about industrial farming. Chipotle pulled out all the stops and produced a gorgeous looking (and provocative) video with Hollywood-caliber entertainment and production values. And The Scarecrow earned Chipotle the kind of rave reviews most brands would die for, including laudatory coverage from publications such as Forbes. It’s not the first time Chipotle has outhustled its competition with great content and cause marketing. For instance, to support family farms, Chipotle has partnered with musicians such as Karen O and Willie Nelson to create inventive music videos. Chipotle is one of the hardest working rock stars in content marketing. Jimmy Page drew upon a wide range of musical influences as he developed his guitar-playing style. “I learned by being seduced by the music of rock and roll, and rockabilly, which sort of moved into the blues,” he says. As he developed his own style as a studio musician and later with Led Zeppelin, he would synthesize an even wider range of musical styles, ranging from country to flamenco. Page’s ability to meld different music forms contributed to his writing or co-writing a diverse body of rock, including country (e.g., his pedal steel guitar on “Tangerine”), blues (“The Lemon Song”) and Middle-Eastern tonalities (“Kashmir”). The wide body of musical styles helped Led Zeppelin to appeal to a broader audience and avoid being pigeonholed as a heavy metal band. Branded entertainment, an example being Ford’s partnership with Live Nation to produce “The Rider Challenge” webisodes. Thought leadership (e.g., the annual Ford Consumer Trends Report, which analyzes consumer behavior trends, and not just for the automotive industry). Consumer generated content, as we see with “Go Do Adventure,” which invited consumers to create their own stories about the adventures they experience with their Ford Explorers. Watching Ford produce content marketing is like hearing Page fuse blues, rock, and Middle Eastern rhythms into sweet music. It’s no wonder that Ford is one of the world’s most valuable brands. It might come as a surprise to casual fans, but Page lacked formal musical schooling when he emerged as a hot session guitarist in the 1960s before forming Led Zeppelin. The pressures and demands of session work challenged him to up his game. Being willing to learn constantly is not only useful but also essential to the success of any content marketer especially in an era when digital creates an environment of perpetual change. 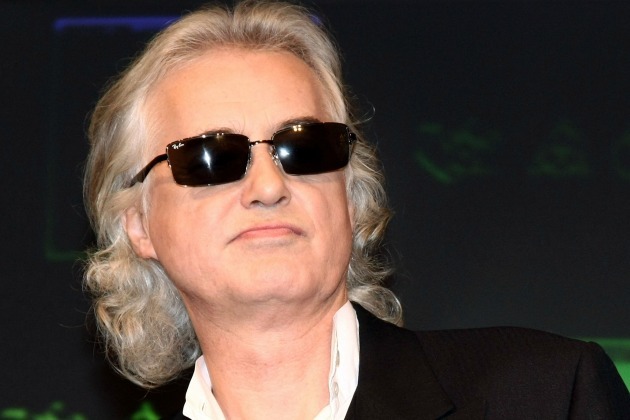 I believe Visage Mobile lives up to Jimmy Page’s ethos of self-learning. 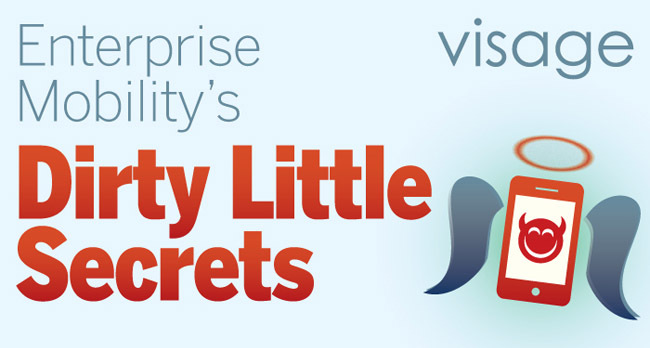 According to Vice President of Marketing Neil Cohen, Visage has constantly challenged itself to up its own game since its first forays into content marketing, which Cohen describes as “cheeky videos featuring our CEO” distributed on YouTube. In just a few years, Visage Mobile has learned how to take a more sophisticated approach to content marketing in order to attract and retain consumers along the marketing funnel. 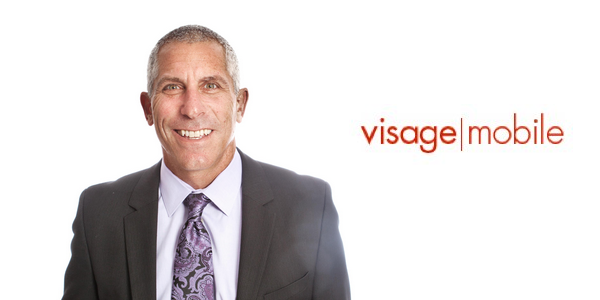 Within the past five months, Visage Mobile has also learned the art of co-branding. The company co-creates social content with its channel partners, such as a guest blog post from Paul Troisi, chief customer officer at Troy Mobility. “We’ve learned how to create content that our own partners can customize and rebrand for their own customers,” Cohen adds. Cohen notes that embracing a self-learning approach starts at a personal level. Because the mobile space is fraught with change, he acts as his “own industry analyst,” taking it upon himself to interview subject matter experts in order to stay ahead of the curve. If he does not learn, he can’t expect anyone else around him to do the same. Chipotle, Ford, and Visage Mobile are three very different companies that have gone down different content marketing paths. They’ve all succeeded by understanding that content marketing is not just another tactic. Branded content is a source of innovation and value — for those who are as dedicated to marketing as Jimmy Page is to music. In your opinion, which content marketers over deliver, are eclectic, and are always learning? This entry was posted in Marketing, Music and tagged Berklee College of Music, Chipotle, David Deal, Ford, Jimmy Page, Led Zeppelin, Neil Cohen, Superhype, The Scarecrow, Visage Mobile. Bookmark the permalink. Re: Chipotle…substance still trumps style. Fancy ads aside, any place serving \”Mexican\” food that restricts the amount of hot sauce the customer has access to is missing the mark. I don\’t even think about going there. It\’s plain wrong linking \’Tangerine\’ with country (nothing against good old country) – I\’d say it draws more from the sweet folk little tunes. I propose the solo in What Is And What Should Never be. Now that\’s country steel guitar!! Thanks for weighing in! IMHO, the country influence in \”Tangerine\” is heard in that beautiful pedal steel guitar solo near the end of the song, but the complexity of Led Zeppelin\’s music makes it difficult to categorize (which is one reason why the band\’s music appeals to so many listeners).